I grew up in the 1960’s and 1970’s in Berkeley, CA in an artistic home and progressive community. My father, the landscape painter and illustrator Robert G. Stevens (1926-2004), and mother Wilkie, who was a fan of Louise Nevelson, believed that I should have an education in the arts and not just the sciences. They frequently took me to museums when they were not otherwise entertaining, or being entertained by, the many now famous painters then living in the Bay Area. After graduating from UC Berkeley, I moved from the San Francisco Bay Area to Los Angeles to accept a Fellowship in Producing at The American Film Institute in Hollywood. I worked in that field for 10 years, then did a career “about face” in 2000 and decided to help my father, who then lived in Santa Fe, to promote and sell his paintings in Southern California. I didn’t have a gallery, so I improvised producing events like “Art Tea Networking Events for Women,” which I conducted out of my home. I also started to write about curating exhibitions in alternative venues—now called “pop-up” galleries. 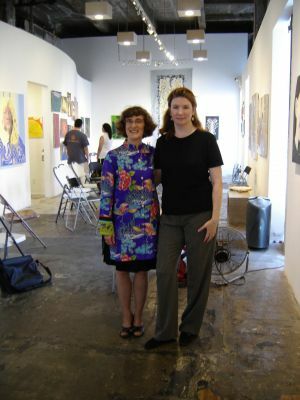 In 2004, I wrote a 15 page outline for a book about my art adventures including advice for artists, A Gallery without Walls, and submitted it to Constance Smith of ArtNetwork Press, who agreed to publish it and gave me an advance. To promote the book, I started to give talks and then workshops for (mostly) women on how to promote and sell their artwork with or without a gallery. I also began to work more with women artists and independent curators, and became a member of the Southern California Women’s Caucus for Art. As I became familiar with women’s art history and its many unsung heroines, I thought about my own formal art history education at UC Berkeley and how egregious it was that it did not include any women artists. This inspired me to to start conducting Feminist Museum Tours focusing on women whose art had actually been included in permanent collections. In all that I do, I strive to create innovative programming that speaks to the issue of gender equality in the visual arts. Curator, artists’ representative and ArtNetwork Press author, Margaret Danielak, produces innovative art-related events in alternative venues. Over the past 10 years, her company, Pasadena-based DanielakArt has exhibited the work of its artists at the California School of Culinary Arts, Heritage Wine Company, Vroman’s Bookstore, the Fine Artists Factory, Sweetland Hall (All Saints Church), and Phantom Galleries LA at Homestead House in Pasadena among other locations. 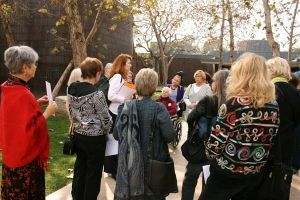 In 2011, she was appointed the Curator of Exhibitions for The Women’s City Club of Pasadena at the Historic Blinn House—taking over the space from The California Art Club. A workshop leader and art marketing expert, Danielak holds a BA in History from the University of California at Berkeley. She was a Producer Fellow at The American Film Institute and is the author of the highly-rated handbook for fine artists, A Gallery without Walls. Danielak also grew up in the art business. Her father was the noted landscape painter and illustrator, Robert G. Stevens (1926-2004). 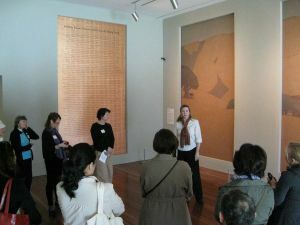 In 2008, Danielak conducted an art marketing workshop at Pharmaka Gallery in downtown Los Angeles sponsored by SCWCA and in February 2009, she conducted the first ever Feminist Art Tour at the Norton Simon Museum in Pasadena for the 2009 Women’s Caucus for Art National Confab attendees. In 2011, she received a grant from WomenArts of San Francisco to conduct a Feminist Art Tour of The de Young Museum. 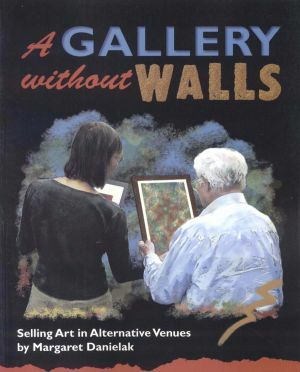 A Gallery Without Walls: Selling Art in Alternative Venues is the fifth book in ArtNetwork Press’ highly-regarded “101”? series and was a featured selection of North Light Book Club. The book was given a “must buy” rating by the Midwest Book Review for Librarians in the United States and Canada. It guides artists in creating their own gallery environment for exhibition and sales opportunities without relying upon traditional venues.